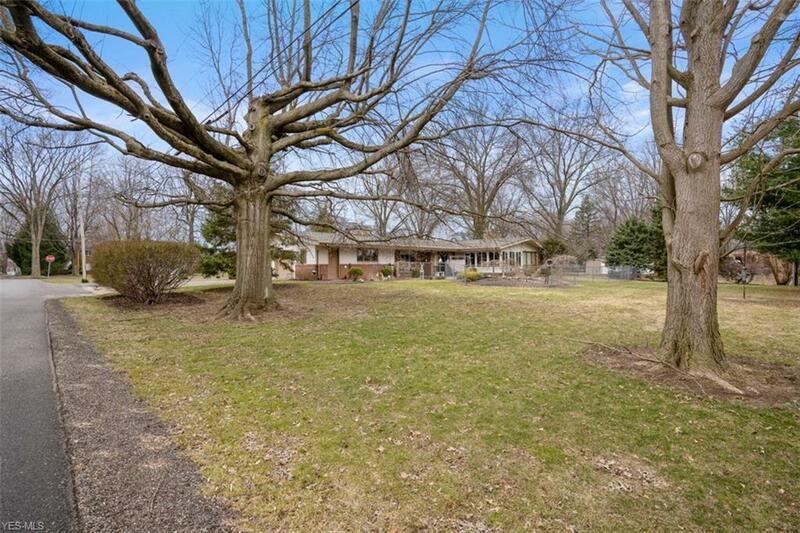 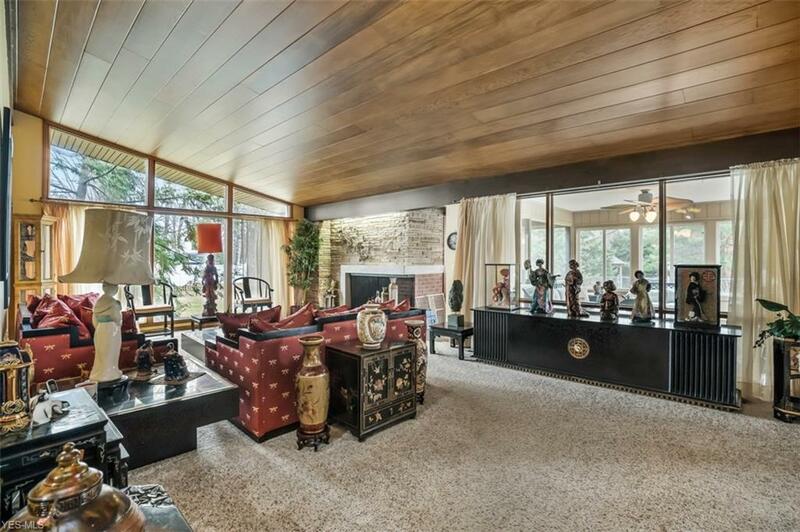 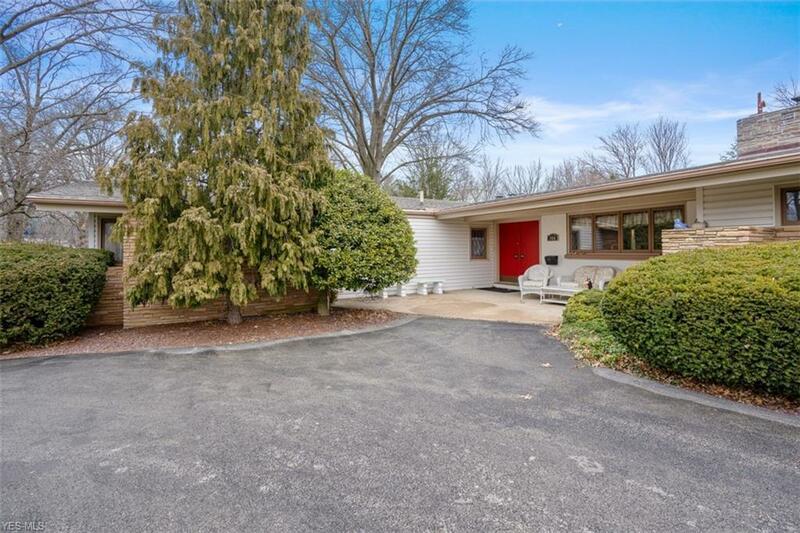 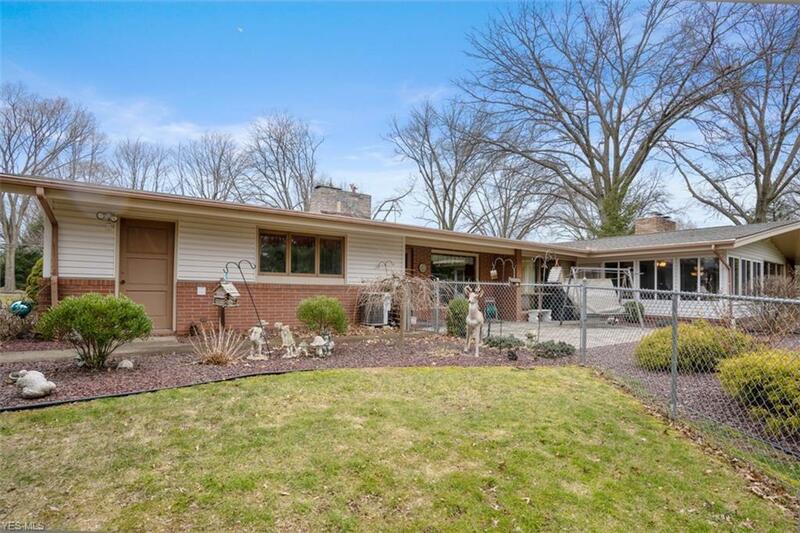 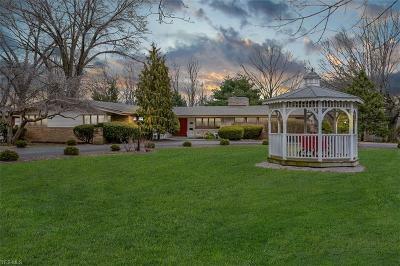 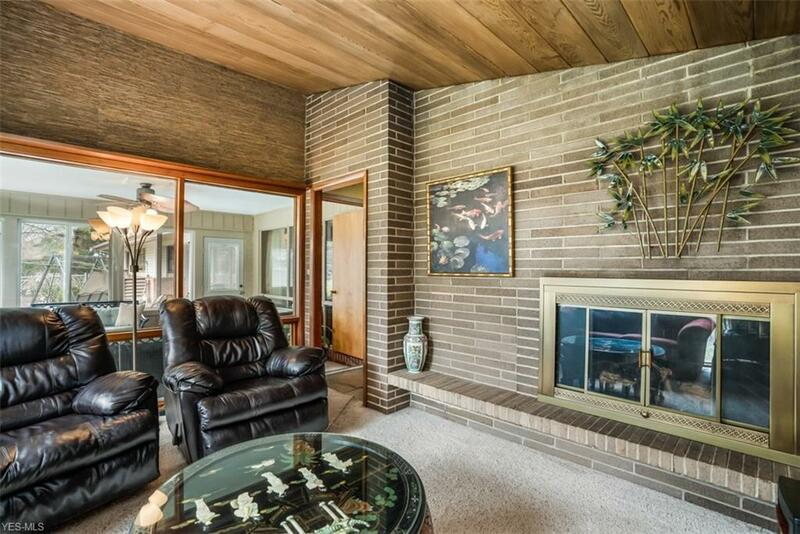 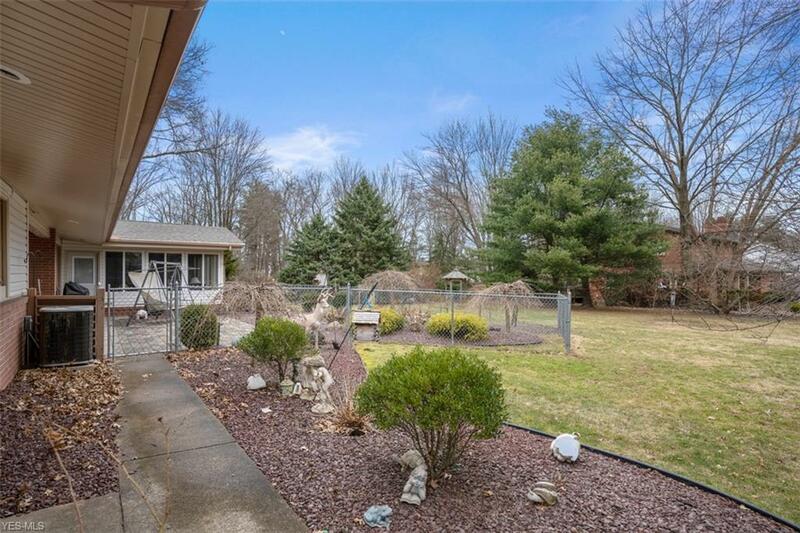 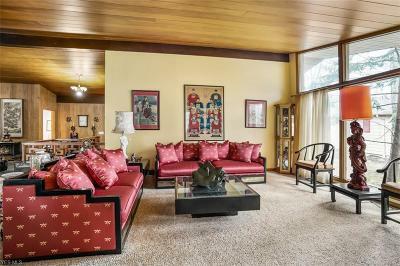 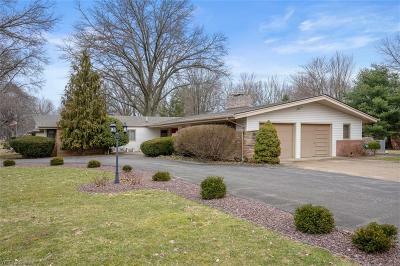 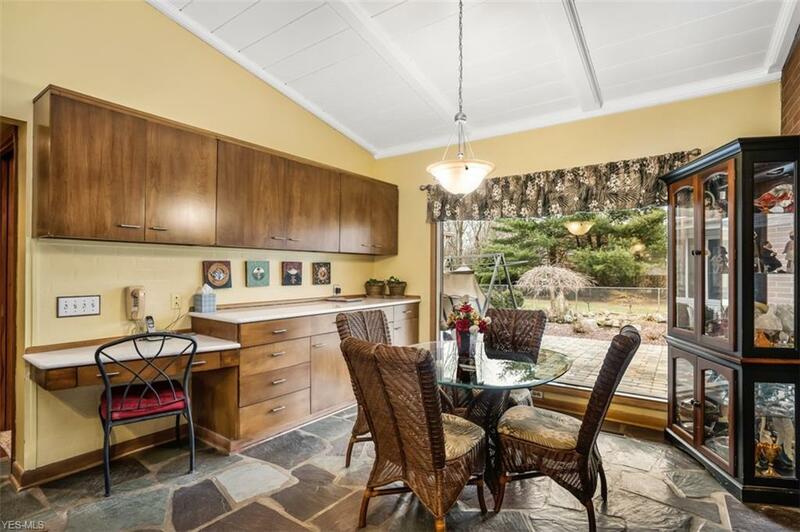 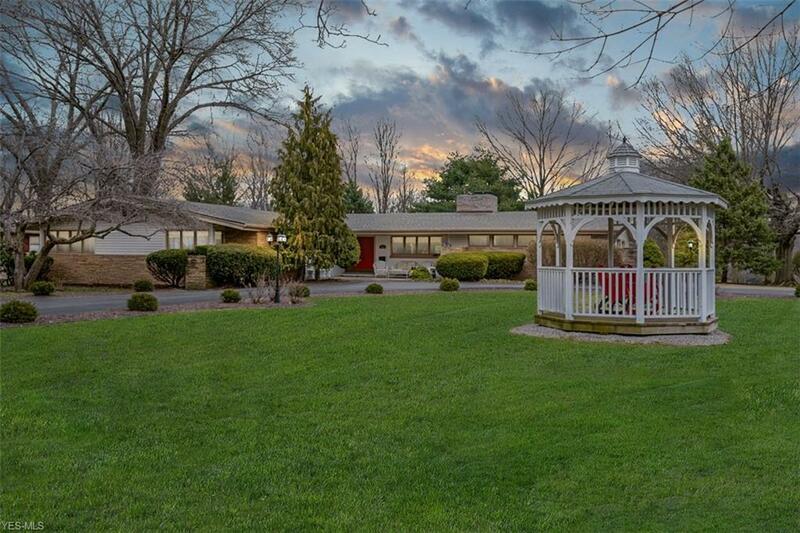 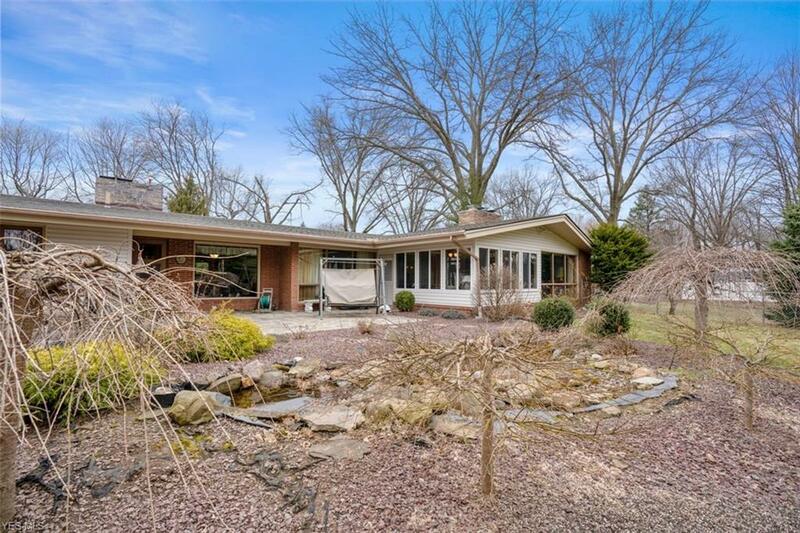 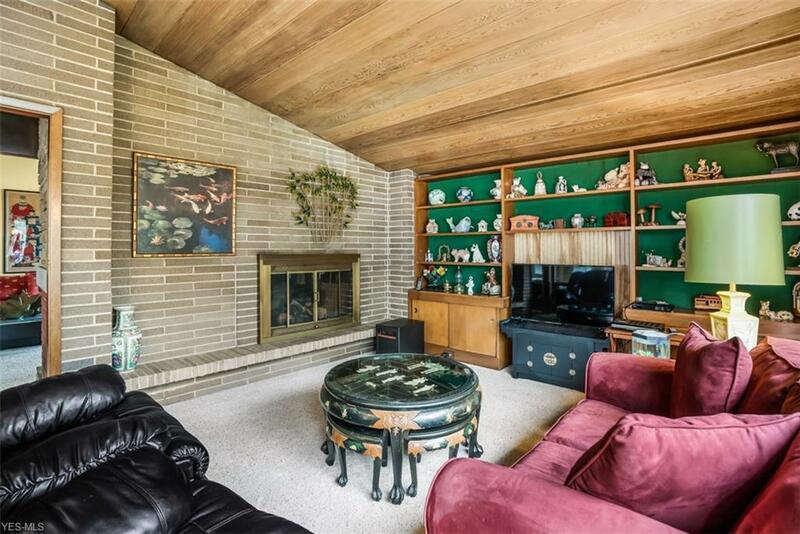 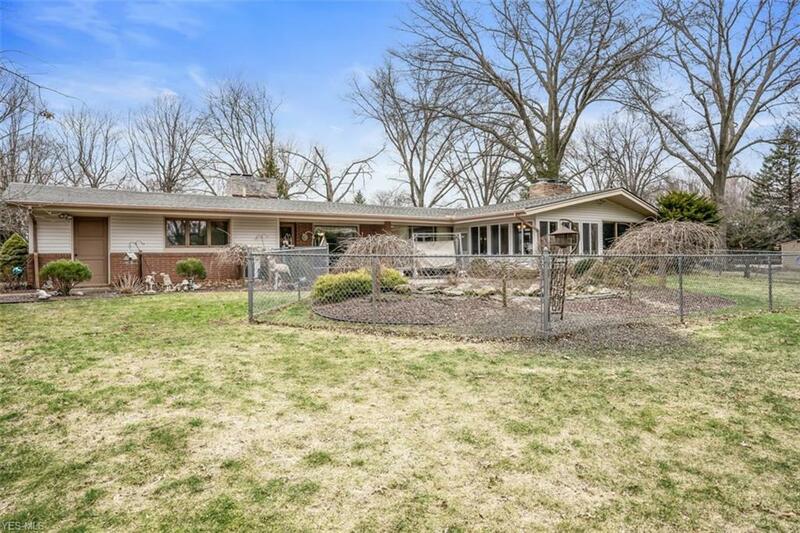 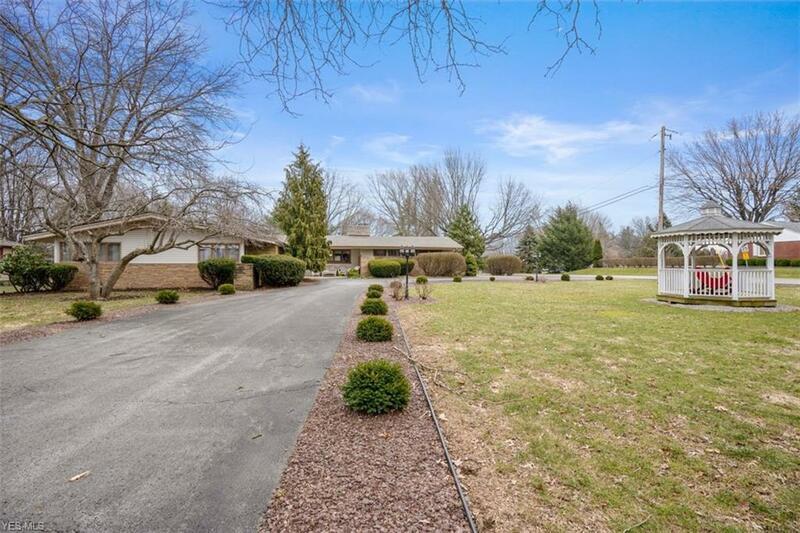 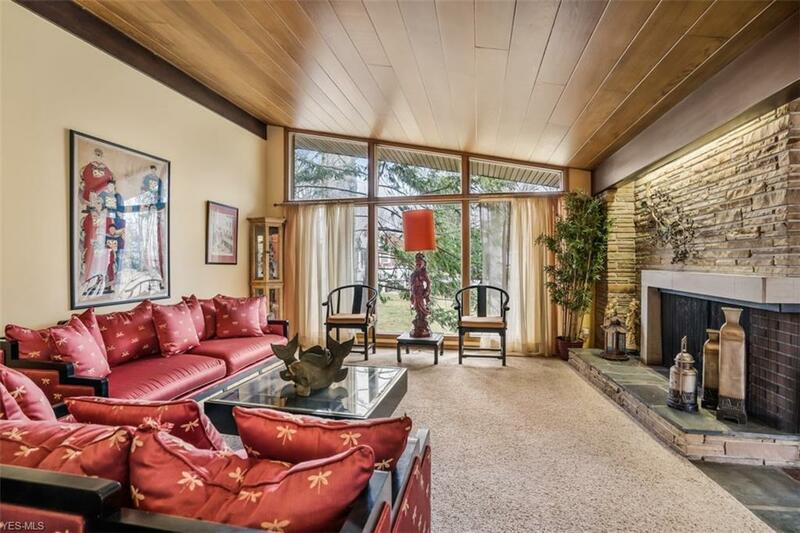 Sprawling 3, 777 sq ft mid-century modern brick ranch. Offering 4 bedrooms, 2 full baths and 3 powder baths. 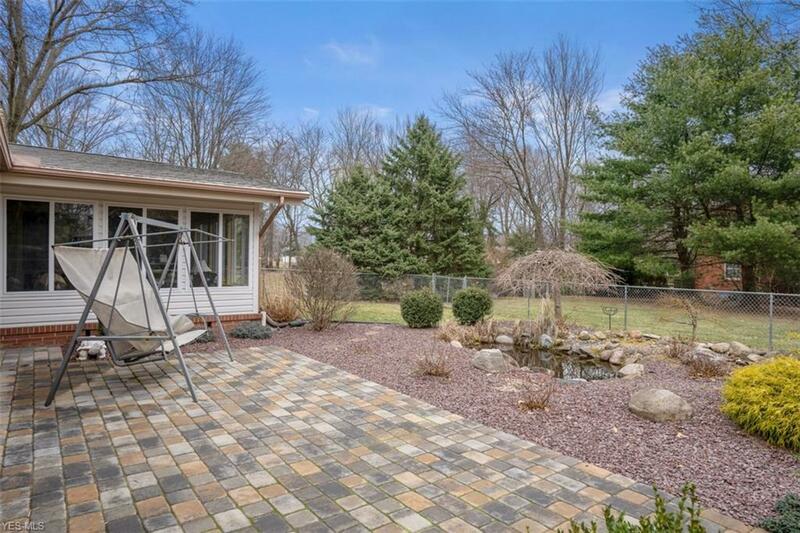 The backyard offers a beautiful brick paver patio accenting the low maintenance landscaping to enjoy in the warmer months that includes a fenced area. 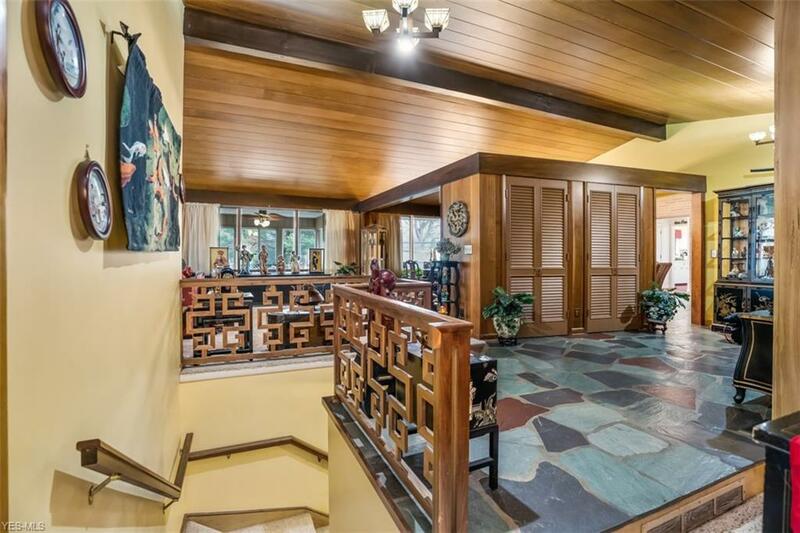 The entry is detailed with custom designed slate tile flooring and detailed woodwork sure to catch the eye of all your guests. 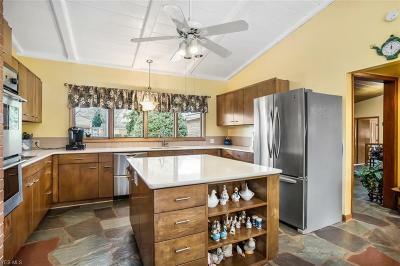 Eat in kitchen offers plenty of room to entertaining. Granite countertops, huge center island, and updated appliances which include a two drawer dishwasher, double oven, and side-by-side refrigerator. Even more kitchen storage in the pantry. 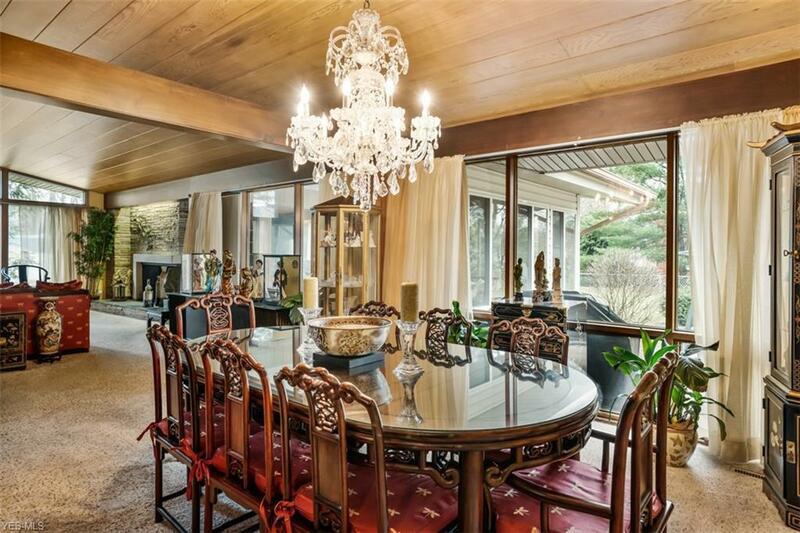 Large formal dining room with vaulted ceilings and several large windows providing amazing light and views for your entertaining. 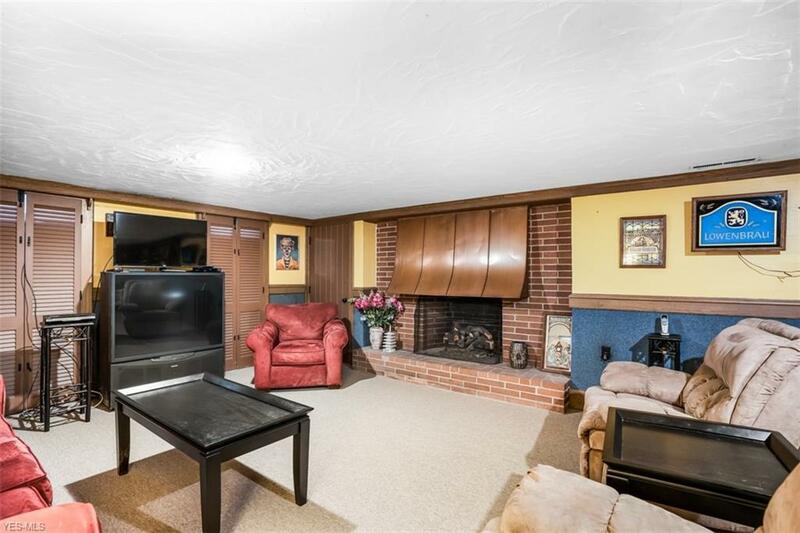 Family room with fireplace has no shortage of windows or wide open views. 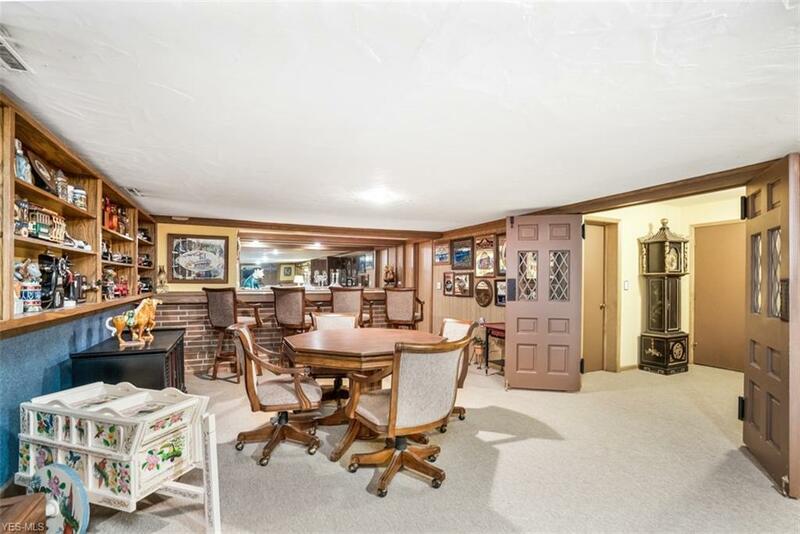 Separate media room also for you to relax and enjoy. 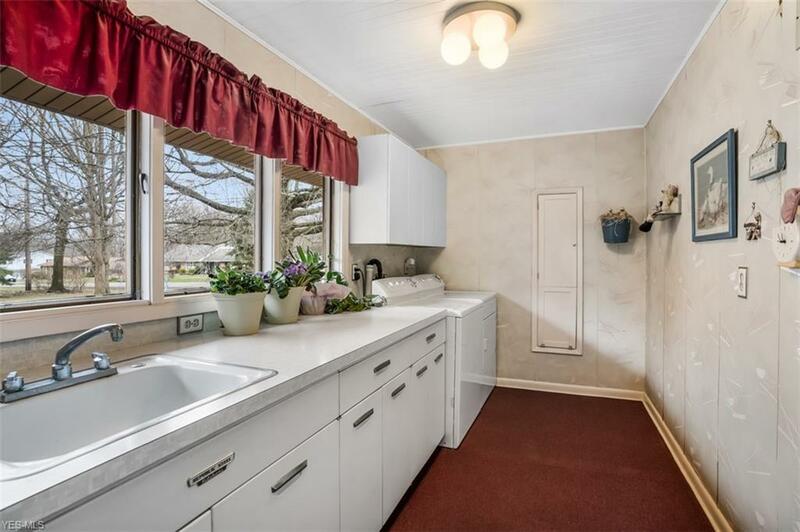 Large main floor laundry room includes wash area with tons of extra storage. 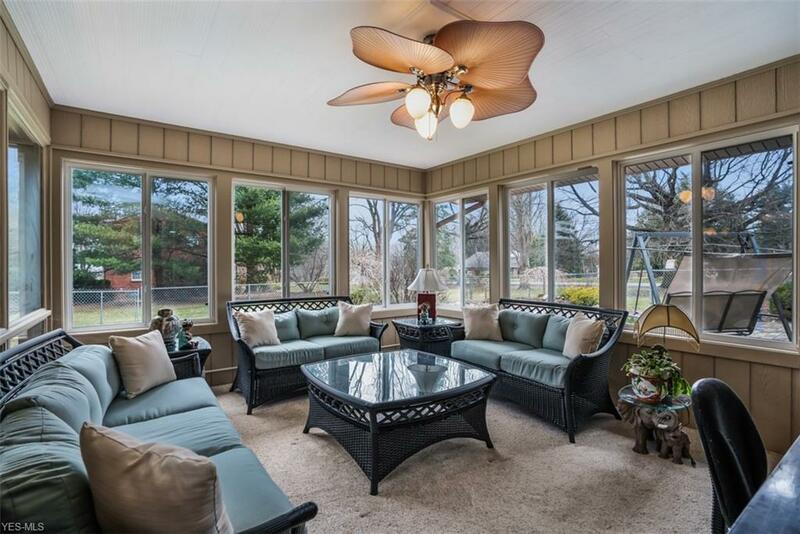 Finished our sun room will be your new favorite space to relax and entertain year round. 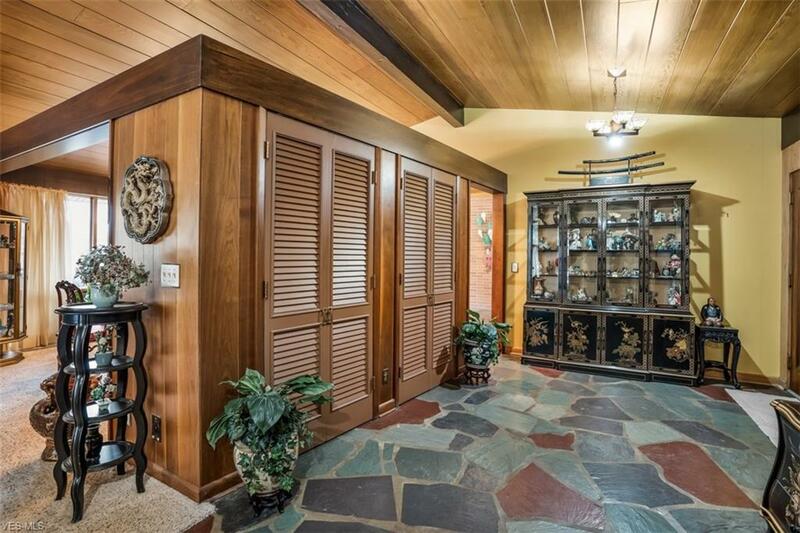 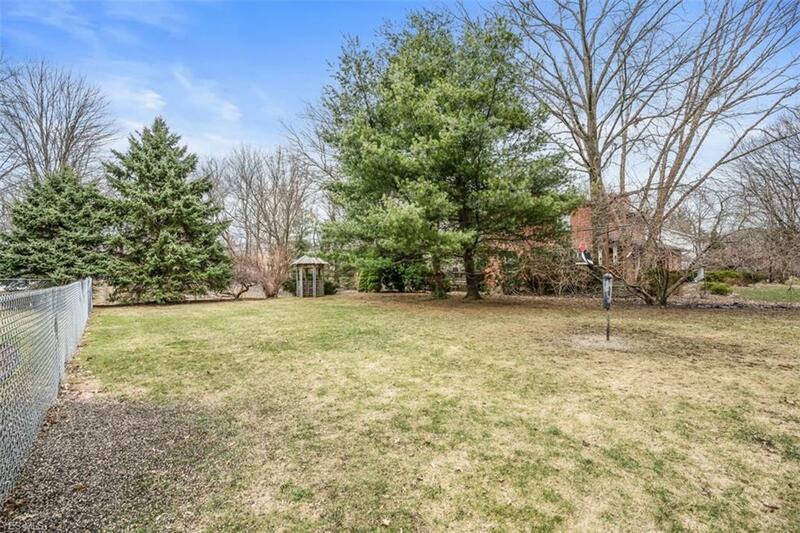 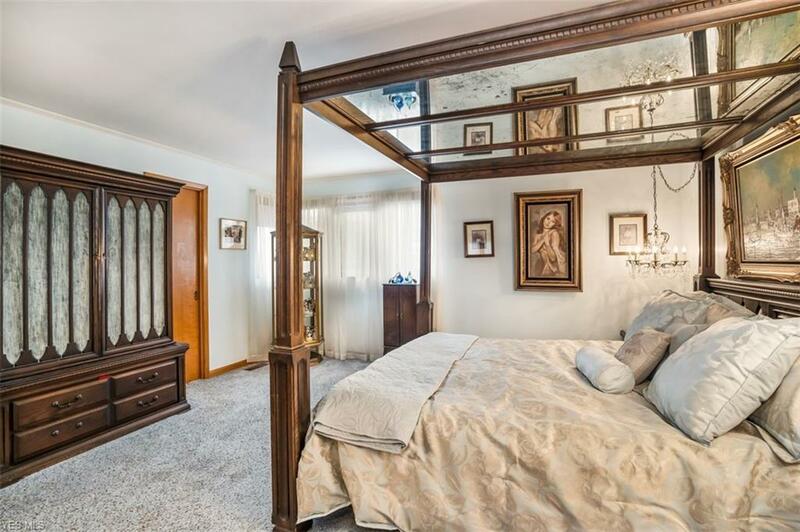 Large master with two walk in closets and en suite private bath. 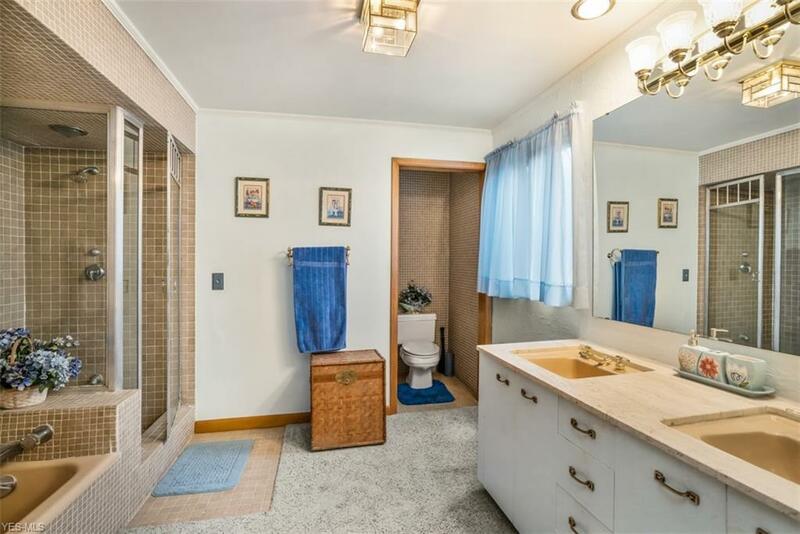 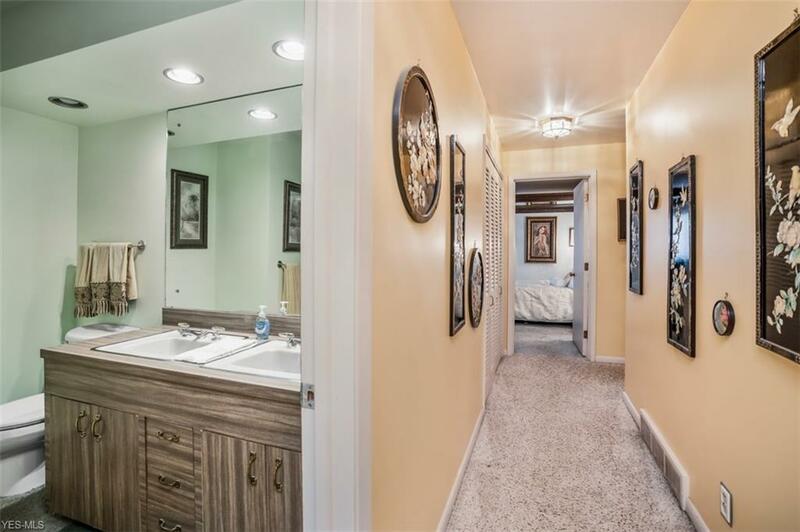 Master bath boasts granite counter tops with soaking tub, large separate shower and private commode room. 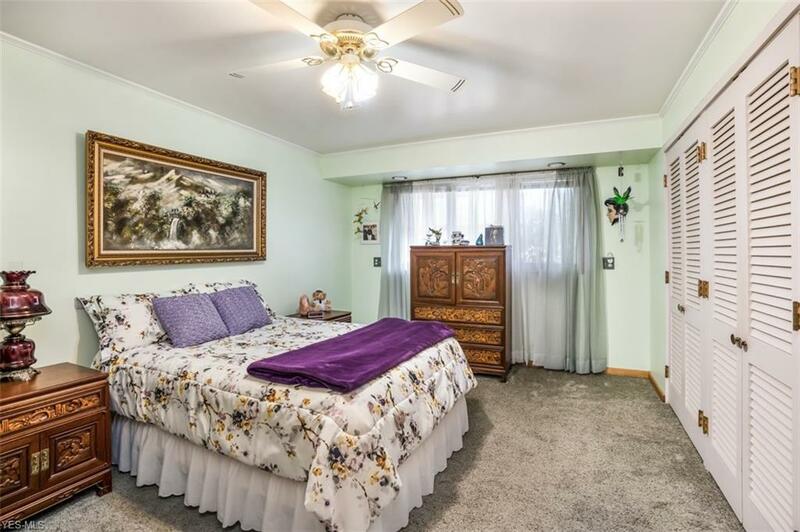 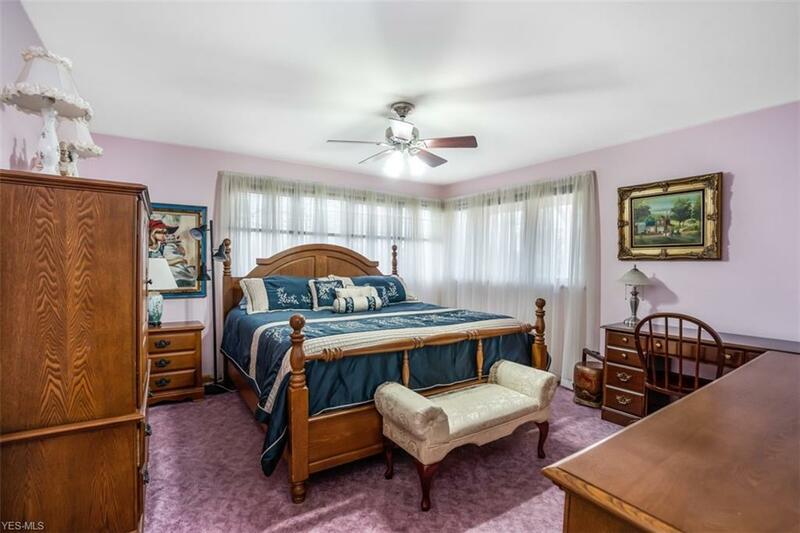 3 additional large bedrooms, offering an abundance of closet space complete the first floor. 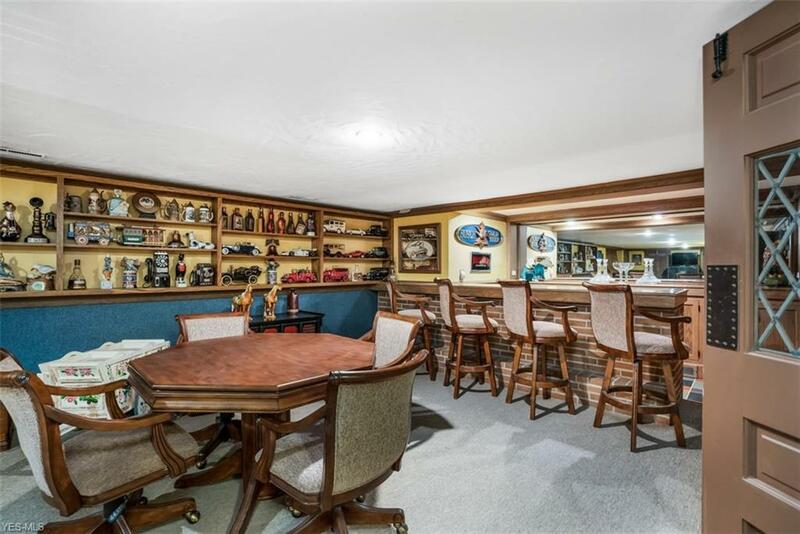 Huge walk out basement includes additional finished area providing an additional living space perfect complete with fireplace with copper hood and wet bar, and tons of storage space.